This Wrangler Riggs Men's Forest Green 3W501 FG Cotton Twill Long Sleeve Shirt is a great example of quality workwear from an exceptional brand. Wrangler makes clothes you can count on that are all-day comfortable, functional, and durable enough to stand up to toug ... (see full details) (see specifications) #2523. This Wrangler Riggs Men's Forest Green 3W501 FG Cotton Twill Long Sleeve Shirt is a great example of quality workwear from an exceptional brand. Wrangler makes clothes you can count on that are all-day comfortable, functional, and durable enough to stand up to tough wear. Made from 100% cotton twill with a peached finish, this lightweight 7-ounce shirt is also garment washed for a soft touch that's also durable. It feels great against the skin, delivers the natural, breathable comfort of cotton, and wears well. The exclusive Room2Move® fit provides greater extension and flexibility with a relaxed fit and side gussets. A straight back yoke enhances the fit. When freedom of movement matters, this men's top makes it more comfortable to bend, move, and stretch. For a look that projects confidence and professionalism on the job, this men's top offers a button front and button-down collar. Two front chest pockets with buttons and a hidden utility loop add convenience. Long sleeves with two-button adjustable cuffs round out the look with plenty of room when it's time to roll up your sleeves. Whether work takes you to an office, a store, a warehouse, or a job site, this Wrangler Riggs Men's Forest Green 3W501 FG Cotton Twill Long Sleeve Shirt will be right at home. And it's versatile enough to take you off the clock for casual wear, too. Good thing we have them in plenty of colors because this one's likely to be a favorite for relaxed comfort, durable wear, and good looks. Order yours today right here at Working Person's Store! This review is of a Navy Blue, 3W501NV. There's also a khaki color, 3W501KH. It's a great work shirt, almost flannel soft and thick, warm, large buttons, excellent stitching, big pockets, didn't shrink much on the first wash. Very reasonable price here; I've seen them for $30 locally. As someone who really likes Wrangler's Riggs jeans, which are about the best work jeans I've ever worn, I decided to try this Riggs shirt when I saw it on Working Person's site. I ordered one in blue denim and one in this forest green twill. Not surprisingly, the denim and the twill feel different, as they are different materials, but surprisingly, the denim is a lighter weight than the twill, which was unexpected. Not that there is anything wrong with the weight of the denim shirt. It's heavier than some I've worn, but it just feels lighter than the twill, which is very substantial. I got both of these to wear at work, but after seeing the twill shirt, I'm thinking that I am going to re-purpose some of my older flannel shirts for work and save this one for off-work wear, because it just seems like a nice shirt and I don't want to get paint all over it. (At least, not yet.) The green is a darker color than the way it looks on the website and actually is nicer looking. I haven't washed it yet, but I don't expect that it will shrink much, if at all. There have been a couple of comments on here about the fit. Someone found it "tight." This wasn't my experience. I have an athletic build (I lift weights) and I did not find this shirt tight or snug. I found the fit just about right. The sleeves fell to just below my wrists, which is about where most dress shirts fit me, but there are buttons that can make them a bit more snug, and to sit right at the wrist. (Though this isn't an issue for me.) There are two button-through pockets, which is a nice touch, and a separate little inner pocket on the right breast pocket for a pencil or a pen. Overall, I was very pleased with this purchase and will buy at least one more of these, probably in black. A great shirt to wear with jeans. This shirt is advertised as having room to move, but my shirts (I ordered 2) are both tight fitting, especially across the shoulders. The sleeve length was proper and I'm not a particularly big man, so I'm sure that the problem is in the shirt itself. sleeve undershirt ( adjust undershirt weight based on temp ! ). I agree w/ the other reviews ( a bit tight in the shoulders ) so go up one size; shirt still looks good and is not too baggy ( I prefer loose anyway ). I own 2 of each color, as these tend to be the only shirts I wear Nov. thru March and dress appearence is somewhat of a mandate for my job function. They do fade after time ( as most 100% cotton products do ) but no more than any others I've had and actually, a bit less. I then farm them out to my nephew who wears 'em out in the body shop he manages - - I don't think we've actually retired one yet after 4 years ! Haven't really notice much, if any, shrinkage over the years, either.
" normal " size. Didn't return, just passed it down a year earlier ! 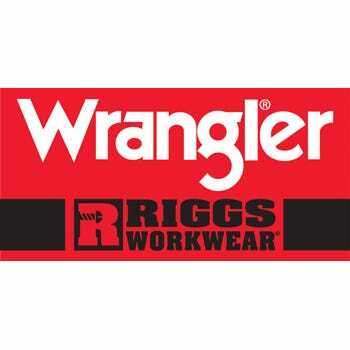 I bought a couple of the Wrangler Riggs Twill work shirts as I was spending more and more time in meetings and less time working on the farm equipment. These rugged and stylish shirts helped eliminate the need to switch shirts every time I have to get back in the shop. They are tuff enough to hold up to the daily wear in and out of tractors and yet nice enough that you can meet the customers for lunch. The shirt has washed up well over the past 2 years and is defiantly worth the money. The color has faded a bit but with all of the use and washes I am impressed. Wrangler Riggs Shirts: Men's Forest Green 3W501 FG Cotton Twill Long Sleeve Shirt is being added to your cart.